Before you read this reflection, I encourage you to bow your head and pray for God’s grace. Pray that Jesus will allow you to enter into the mystery of His Passion more deeply than you have before so that you can treasure the greatness of His love and courageously respond to His call to assist Him in His plan of salvation. Jesus loves you so much! 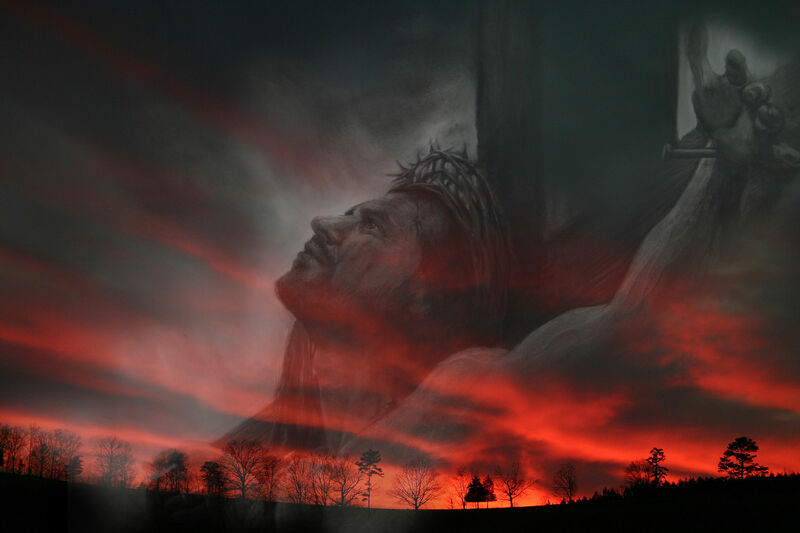 Why meditate on the Passion of Our Saviour Jesus Christ? The Passion journey begins in the Garden of Gethsemane. Jesus enters a dark garden requesting that His apostles, Peter, James and John stay awake, except they fall asleep as Jesus becomes deeply distressed contemplating the great suffering He would have to endure to redeem His people. As we contemplate the suffering of Our Lord in the garden the Holy Spirit will reveal to each of us some special spiritual treasure that we must hold in our heart and reflect upon. As I enter the garden of Gethsemane with Jesus I wonder how many times and in how many places Our Holy Lord suffers alone. We are supposed to be the disciples of Jesus, His Body on earth, yet how often are we asleep to the suffering of our neighbours around the world? Our neighbours in need, like Jesus, must be praying for their suffering to pass. In some cases we are in a position to alleviate their pain, but what prevents us from doing that? When I was nine years old I broke my arm. My father brought me to the hospital where X-rays revealed only a sprain, except the truth was my arm was fractured; the radiologist made a mistake reading the X-ray. The day after I broke my arm, I waited for my friend to come walk with me to school; I was in pain. That morning my friend was late: “Where have you been?” I remember saying in distress. “Now we are going to be late for school! I have hurt my arm and I need you to carry my books because I have to carry my arm.” As I struggled to walk to school, my little friend struggled burdened with two book bags on her back. I tried with my healthy arm to carry my broken arm. I was grateful to have had the help of my little friend. In the garden of Gethsemane, Jesus is preparing to carry all our sins on His tender shoulders. Jesus was in distress contemplating the horror of the sins of every generation. Imagine Him seeing the future, the wars, the violence, the oppression, the corruption, the impurity of man and the grave injustice. The humanity of Our Lord called out for comfort and consolation while the divinity of Our Lord resolved to prove to us how much He loves us. An angel from heaven comes to console Jesus. What can we do to console God and one another? Are we resolved to do all we can to prove to Jesus we love Him by our choices? How much I want to console You Holy Lord by helping You in every way possible! How can it be that we despised and rejected Our Lord and Saviour Jesus Christ, True God, True Man? How can it be that we held Him in low esteem? How can we not adore Him NOW for the suffering He endured to set us free? How will we prove our love to Him? I grieve my sins Holy Lord and the pain they have caused You! I want to honour You and help You to save souls. As I stand with You at the pillar meditating upon this brutal scourging and torture I grieve all the sins of mankind and I pray that all my Christian brothers and sisters will join me in reflecting daily on Your Passion, praying for the redemption of all souls as we strive to embrace Your Holy Will. What courage you had Holy Lord and what infinite love You demonstrated! Please forgive me for the times I have been so impatient enduring humiliation. I offer You my life, my suffering, my joy, my resolve to do all things for Your glory. Please help me to make choices that honour You. 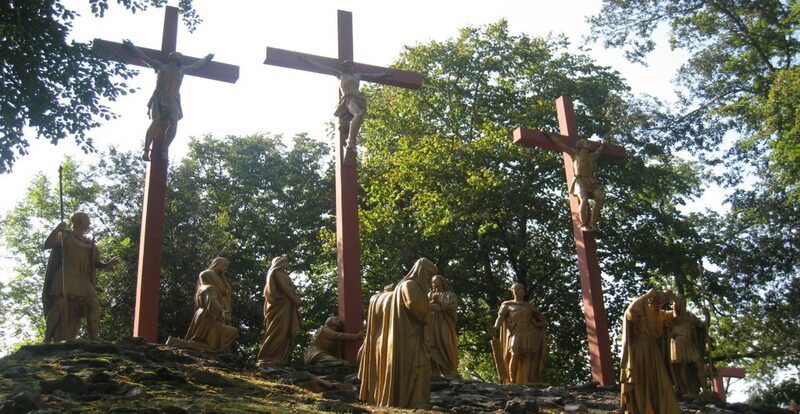 When you see the scourged, beaten, disfigured Jesus carrying His Cross up the hill to Calvary and when you see His pain and realize He is doing all of this for you, to create a place for you in Paradise, you will be changed! I see the Blessed Virgin Mary in my contemplation suffering with tears in her eyes as she watches her Holy Son, Our Saviour, carrying the heavy weight of the Cross. “Come all you who pass by along the road, look and see whether there is any pain like my pain.” Lamentations 1:12 How much she suffered to watch her Son Jesus, the Living God, be tortured and murdered for our salvation! I hear the blows of the hammer nailing Our precious Saviour to the Cross and I cannot stop my tears from flowing for we have all caused Jesus so much pain by our sins! Yet tears are NOT enough, we must PROVE our LOVE TO HIM. I see Our Holy Lord hanging on the Cross in agony struggling to breathe, praying for our redemption and my heart is pierced by His love. I love YOU my God! Jesus was crucified at 9am and He died for us at 3pm. Jesus hung on the Cross in agony for six hours!!! On the Cross Jesus pays the price of divine justice. God’s work of salvation is consummated on the Cross. The merits of the sacrifice of Jesus Christ are infinite and make full reparation to God’s divine justice, i.e., Jesus pays the price of all our sins, all we need to do is REPENT. The problem is many souls are not turning to Jesus for salvation, i.e., souls are NOT repenting. The souls that have fallen out of God’s grace are like the broken arm in need of a healthy arm (a righteous soul) to carry it. The Body of Christ must continue to make reparation to God’s divine justice, i.e., deny ourselves, do penance for our sins, serve God and prove our love as we pray for God’s grace upon all and love one another. St. Paul was not ‘atoning’ for sin for Jesus paid the full price of our sins, but St. Paul was suffering to try to bring more souls to accept Jesus as their Lord and Saviour, thus building up the Body of Christ, the Church. God’s work of salvation continues as His Body on earth, His disciples, do good works, evangelize and pray that all souls turn to Jesus for redemption. We must repent of our sins and dedicate our lives to doing the Holy Will of God as we pray for God’s Holy Spirit to heal our broken world, to silence the forces of evil and to save all souls. We must forgive as Jesus forgave us! The apostles persevered in spite of the hardships because they believed in the promise of eternal life and so too must we. Jesus Prayed for All Believers that we may all be ONE! The Resurrection of Our Lord is the promise of eternal life in which we hope! LET US BE AS ONE AND FULFILL THE PRAYER JESUS PRAYED! Join the Peaceful Revolution in the Name of Jesus Christ this Easter! As Disciples of Our Lord Jesus we have a responsibility to pray for souls who are not in God’s grace. The responsibility of believers to help fallen souls is GREAT! Let us believe in the power of prayer. Prayer is the key that opens the heart of God and the Passion of Christ is the key that opens the human heart to understanding the greatness of God’s love. 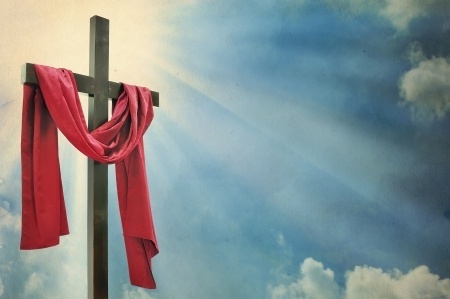 Please join the global peace movement that is uniting in prayer, contemplating the Passion of Christ, every day at 3pm (in our local time zones), because 3pm is the time Jesus died for us on the Cross. We are calling this peace movement A Peaceful Revolution in the Name of Jesus Christ because we know that Jesus will revolutionize the lives of all those who come to Him with true faith. Pray for the mercy of Our Holy Lord upon all souls. Thank Jesus for loving us so much that He would die for us. Pray that Jesus will send His Holy Spirit upon our broken and suffering world so that we may all repent and give God the glory He so deserves as we commit to loving God and one another. The answers to our many problems exist. With God all things are possible! 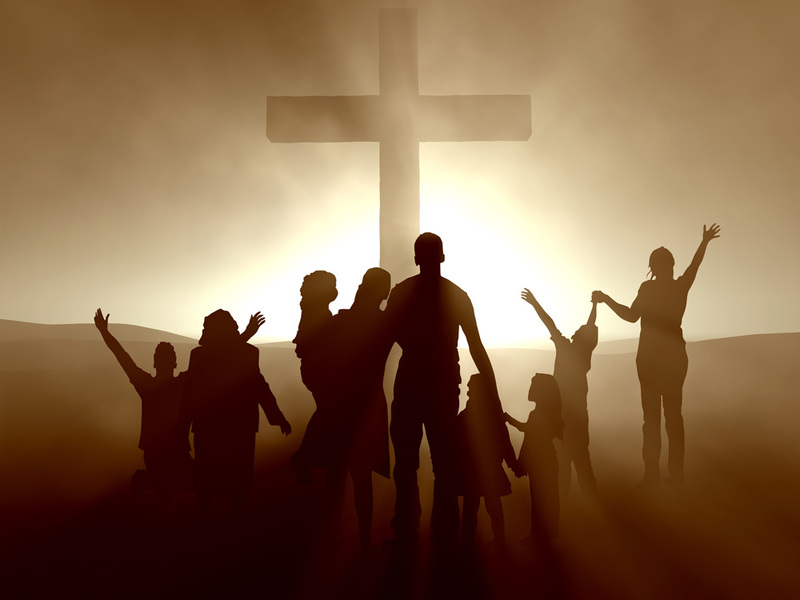 Let us unite as ONE Body of Christ and turn to Our Saviour, Jesus Christ, with trust, with hope and with love! Stand at the foot of the Cross of Jesus every day at the time He died for you, 3pm, and you will fall in love with Your Saviour and then temptation will lose its grip on you and you will be filled with holy desire to please Our Redeemer Jesus Christ, True God, True Man.